Machine learning engineer is number one on the list, but these jobs go beyond tech — potentially offering more opportunities for workers who want a change. What makes a job the best job around? Is it average base salary? The growth in demand? The number of postings for such jobs? According to new research from Indeed, the answer is “yes” to all of the above. The job site factored in these three components to render its Best Jobs of 2019 list, which covers 25 jobs from machine learning engineer and insurance broker (the top two job) down to project architect and senior financial consultant. Though the list was constructed based on numbers, Wolfe admits that what makes a job “the best” involves more than sheer data. It’s no surprise that jobs like machine learning engineer (which swooped in at number one) or full-stack developer (at number three) score so well on this list. 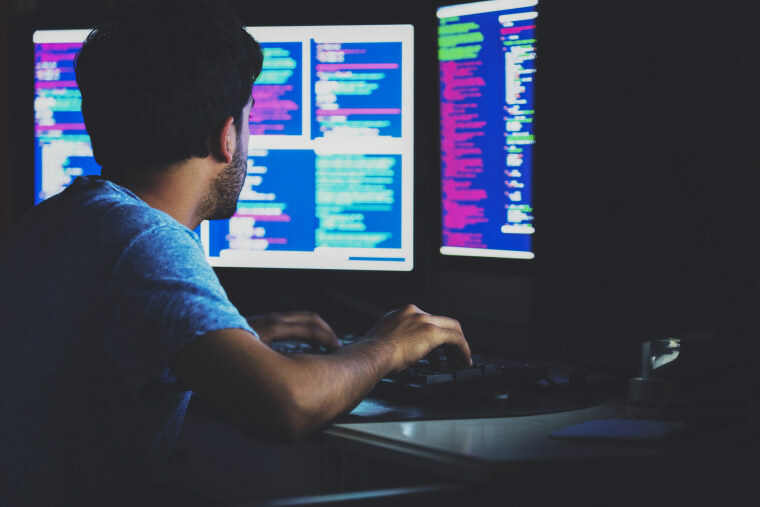 Just as it was no surprise that the U.S News & World Report’s list of best jobs for 2019 shows software developer at number one. Is STEM all there is? Unless you’re in or gearing up for a career in tech or healthcare, reports like those from U.S News & World can be a bit of a bummer. I love my job as a journalist and editor, but being in a field that has been analyzed to be nowhere near a “best” job by experts working with hard data, I tend to wonder if I’d not be better off in the long run switching to computer science. The problem is, I don’t really have any interest in computer science, and as a 35-year old planning a family, I’m not up for investing money and time into another degree. Indeed’s report is refreshing because some of the top positions (like realtor at number nine) highlight opportunity for those of us who don’t have the desire and/or means to take the years to develop the demanded proficiency. I was struck by “realtor” ranking so highly on this list, particularly considering the insight from Laurie Berenson, a career coach and president of Sterling Career Concepts, that generally, these types of rankings feature jobs that are “recession-proof”, meaning they don’t stall out when the economy falters. The housing market is infamously unstable as we painfully learned from the crash over a decade ago. But even in its darker hours, real estate can provide opportunity for its workers. “Insurance broker” came in as the second best job on Indeed’s list, and “insurance advisor” landed in fourth place. A recent report from Deloitte found that the insurance market is growing due to economic growth and higher investment income in addition to rising interest rates, with 2019 predicted as a “banner year” for the sector. “Becoming an insurance salesperson doesn’t have the same panache that machine learning does, but there is a lot of money to be made in selling insurance,” says Eli Howayeck, CEO of Crafted Career Concepts. The boost in demand ties to the industry’s long standing difficulty in attracting millennial talent, as well-stated in an open letter from Hamilton Insurance Group in 2015, which noted that less than five percent of millennials were interested in a job in insurance. Perhaps most surprising on this list, was “licensed clinical social worker” coming in at number 16. That ranking may not sound impressive, but it’s downright astonishing when you consider that “child and family social worker” staggered in at number 78 on the U.S. News & World report for 2019’s best jobs. Berenson was impressed by Indeed’s ranking for social workers, as well as for psychotherapist, which came in at number 14. It should be noted that there’s also demand for that human touch that technology can help provide. Online therapy (also dubbed telepsychology) is enabling mental health professionals to grow their clientele, as reported in a 2017 feature from the American Psychological Association. “Best jobs” lists are always ideal for young people who are choosing a college major or just starting out in the professional world, but Indeed’s report also holds promise for people in later phases of life. Some jobs, like realtor and insurance broker, don’t take a ton of time to prep for and capitalize on soft skills, making them optimal for people who don’t want or can’t afford to put years into earning a second degree. "Positions in law, healthcare, construction, finance, real estate, and more make this our most industry-diverse collection of well-paying, high demand roles in the workforce,” says Wolfe. “Last year our list of best jobs was dominated by the tech and construction sectors, so it's interesting to see a much more diverse mix of industries this year. It seems that employers are looking to fill positions across functions, more so than we have seen in years past."